A new edition of the most famous anti-war novel ever written, with a foreword by Geoff Dyer. Erich Maria Remarque was born in 1899. He fought and was injured in the trenches in the First World War when he was eighteen years old. He was exiled and his works were burnt by the Nazis. 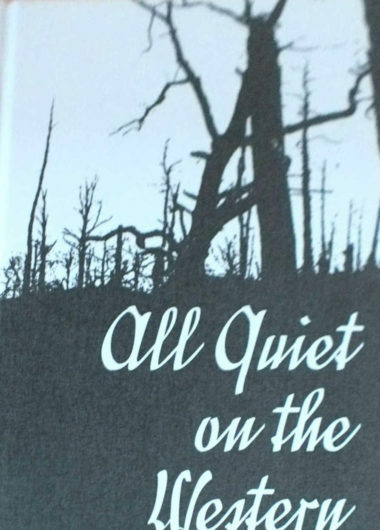 He drew on his firsthand experience of the war for his best-known novel All Quiet on the Western Front about a young ‘unknown soldier’ experiencing the horror and disillusionment of life in the trenches. This special Folio hardback edition includes a foreword by Geoff Dyer.